My email fr Richard says that my new Username is ""joyspacepjjs@icloud"" And i have created a new Passwoed. When I try to creat an acct i get either a blank darkened screen. I am using Puffin browser because I think it has some sort f Adobe ability. My device is Android -12.1inch ~33CM and i am connected thru my iphone8 as my internet hub. Can someone pls help me with this? 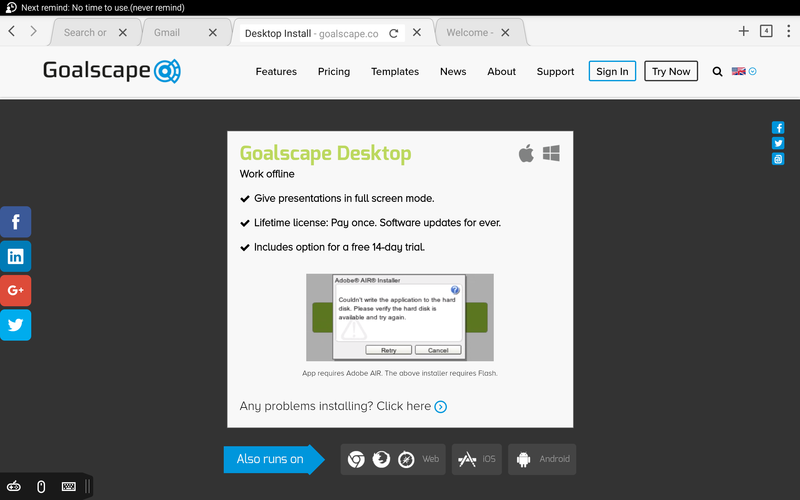 Goalscape Online is a web application (not an 'app'): it works perfectly in any major browser on any Windows or Mac desktop or laptop computer. It requires the latest Adobe Flash Player installed on your local machine and enabled in the browser. To use Goalscape on an Android tablet you need to use the free Goalscape Mobile app – it's on Google Play (or just search for 'Goalscape' on Google Play). Goalscape Mobile syncs with Goalscape Online to display your projects and goals in an indented text hierarchy (like the Goal List in the main application). 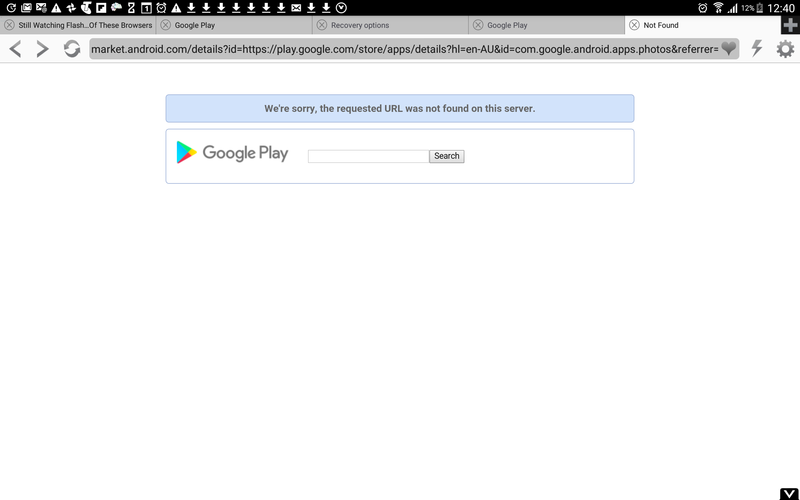 Updates made in the Mobile app are of course reflected in the main Online application. 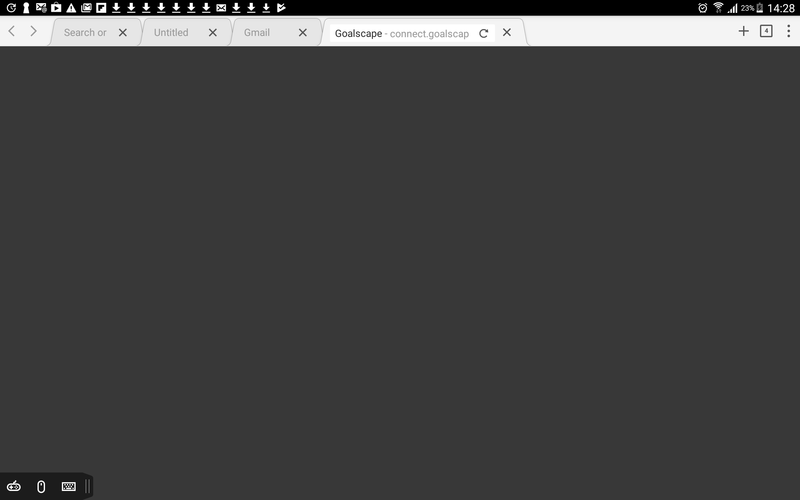 You may also be able to use the full Goalscape Online web application on your Android tablet if your version of the Android Chrome browser supports Flash (try downloading it to your tablet from here). Once you have Flash installed you may also be able to use Puffin: download it here or search for 'Puffin' on Google Play. If you are having trouble with Puffin you may be able to get some help from Puffin support. You have 2 Goalscape Free accounts: the one you originally registered as [email blocked] – on which we changed the username for you last month to [email blocked]; and a new one you created earlier today, registering the email address [email blocked] as username. You can create and share 1 project (30 goals maximum) on each of these accounts.